French-Hungarian artist Mathias Kiss was born on July 4, 1972 and grew up in Paris. He became an apprentice at age 14, then, he joined the famed Compagnons of France, an organization of artisans who work with master craftsmen throughout the country. He stayed for ten years, first perfecting the essential elements of the repertoire of a decorator/painter by concentrating on ceiling decoration and particularly on painting skies. Inspired by 19th century Romanticism, his skies revived the notion of movement while respecting the tradition of the Venetian Renaissance. In this ethereal and light-hearted world, Kiss preserved his taste for freedom. He questioned and explored forms, means of expression and other artistic directions that were open to him. In 2012, he created furniture designs that were exhibited in a solo show of the Galerie Armel Soyer at the Design Miami fair in Basel. His functional objects (a mirror, a banquette) were imagined like sculptures. They were pieces that couldn’t be restricted to a simple ornamental function because their lines blurred and questioned the notion of perception itself. Neither decorator nor designer, Mathias Kiss is a versatile figure of multiple talents. His work is nourished by the tradition of the French “ensembliers decorateurs” of the 1930s and 40s in order to be better liberated from circumscription. He reflects on interior decoration by questioning past and future systems of living. Parallel to his experimentations and personal creations, Mathias Kiss founded the Atelier Attilalou with master craftsman Olivier Piel in 2002 to respond to private commissions and collaborations with such interior architects as Damien Langlois-Meurinne, Jean-Louis Deniot and François Bosc with on site installations. 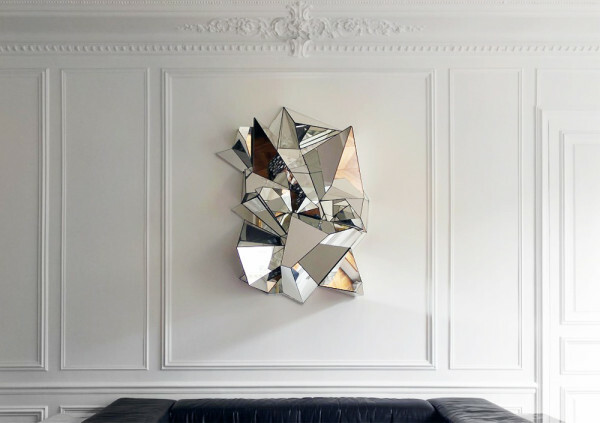 In April 2014, he has been invited to collaborate with AIR, the well-known French electronic music group, with an installation entitled “Miroir Mercure” at the Beaux Arts museum of Lille.